NOTssmbbs.com • View topic - Flatwater cancelled. It has come to my attention that Larry has cancelled Flatwater and hasn't been able to post it. So I do so now. Post subject: Re: Flatwater cancelled. A very sad day. I hope that some day Flatwater can be resurrected. I enjoyed the friendships very much. Lack of attendees left no other choice. It was a good run. Glad I did get to attend the last several. Thanks for the memories, gents. It was a good run. I really enjoyed the years I attended and I hate I missed the last one. I met some of the nicest people anywhere and some of them have some really nice shotguns, (and they let you shoot them). Fond memories. I am sad to learn it is over, I met many fine folks there. 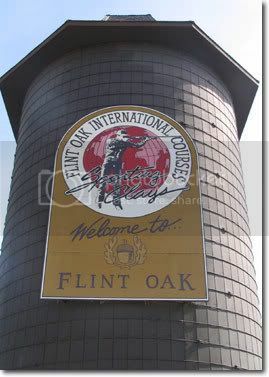 I've shot at Flint Oak and I think the regular Flatwater traditions would give their staff a group stroke. The 30-man squad, shameless poaching of targets, shooting hand-tossed targets with a Taurus Judge, the potato cannon, the Larry Brown road hunting station (shooting through a truck window), creative improvising of the shooting stations, and more trash talk and BS-slinging than an NBA game. It goes on and on... Flint Oak would think they were hosting a tornado. Agreed. But you have to admit it would be a darn fine place to have a cigar smoking, steak eating get together. I've shot there a couple of times. Once was years ago when we knew the food service manager and then again when I did a video for a commercial real estate seminar that met there, had a little education, shot some guns, ate some good food and smoked some cigars. The ring leader of that deal would have fit perfectly in Flatwater. He was the real estate developer who did the land deal for the Kansas City Cabela's store. I read a recent article on the finest sporting clays venues in the U.S. and Flint Oak was on the list. It is a classy operation. Flint Oak is very nice. I have been there a few times for Pass It On, Outdoor Mentors, Bust-A-Clay for Kids' Sake. Raise $350 in pledges and there is no cost to you. A great time at a premier facility. May 15(Friday evening) and May 16(Saturday) this year. We'll always have Paris..uh, Flatwater. I enjoyed the ones I attended (four or five?) very much,and have gerat memories and even some photos. Even the overwhelmingly soggy get togethers and the cold ones. And the winds were at times impressive!